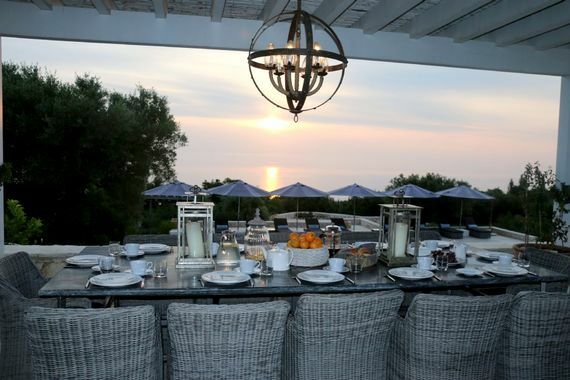 Like a private boutique hotel, with views of the Ionian Sea, Villa Lagaria is a lush and luxurious BFB which neither grown-ups nor youngsters will ever want to leave. 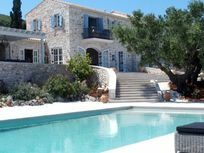 Both inside and out, the villa really puts the wow in wow factor and the whole place has been perfectly designed for making the most of its exclusive, panoramic setting on this Greek island in the sun. As the icing on the cake, families can make things even more luxurious thanks to the thoughtful optional extras which include a gourmet chef, local cook, fully qualified nanny and pre-arrival shopping service. Villa Lagaria is nestled amongst olive groves and cypress trees, in an area of outstanding natural beauty, in the unspoilt north-eastern corner of Zakynthos. There are stunning views at every turn, from throwing back the cornflower blue shutters in the morning, to Mezze mealtimes on the terraces and sipping icy Ouzo in the sunken stone spa pool. Especially fabulous is the covered outdoor living arrangement, with comfy sofas, a real fire and sound system, marble ding table with wicker chairs and a clay pizza oven alongside an American style barbecue – and as far as kids go, that beats a fancy restaurant hands down! There’s even a stone bar to pull up a stool and choose from favourite tipples chilling in the fridge. 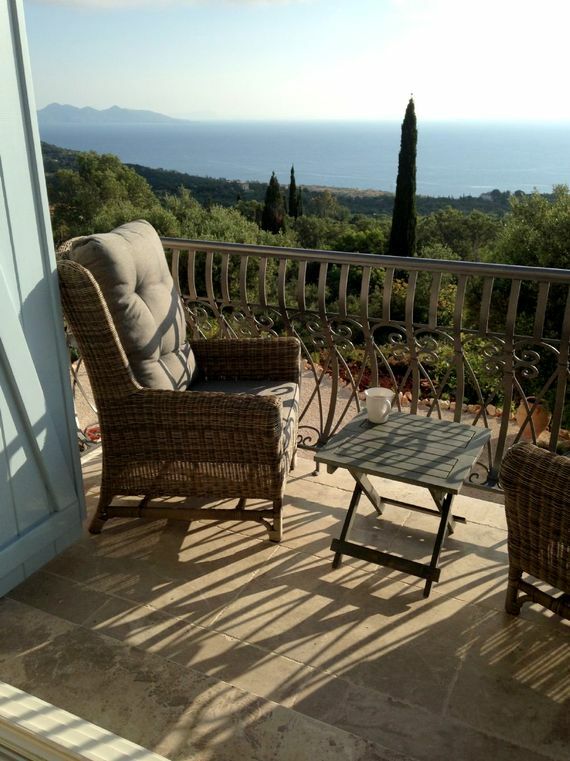 Little pathways lined with lavender make a fragrant toddler toddle through the Mediterranean landscaped gardens where someone could be caught snoozing in a hammock, curled up with a book in a hanging chair or lounging like a Greek god in the canopied day bed overlooking the sea. 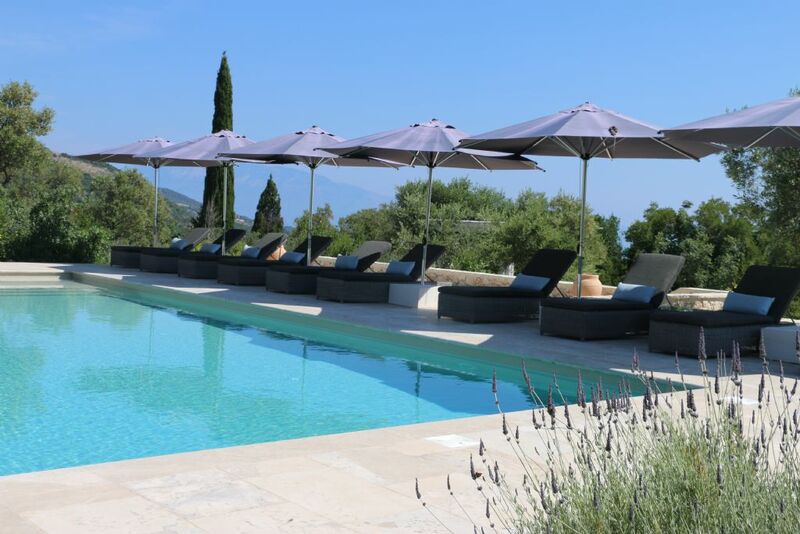 Loungers and parasols are set out by the 13.5x6m mosaic tiled swimming pool and Roman steps all the way across make it easier for little ones to splash in the sizeable shallow end. 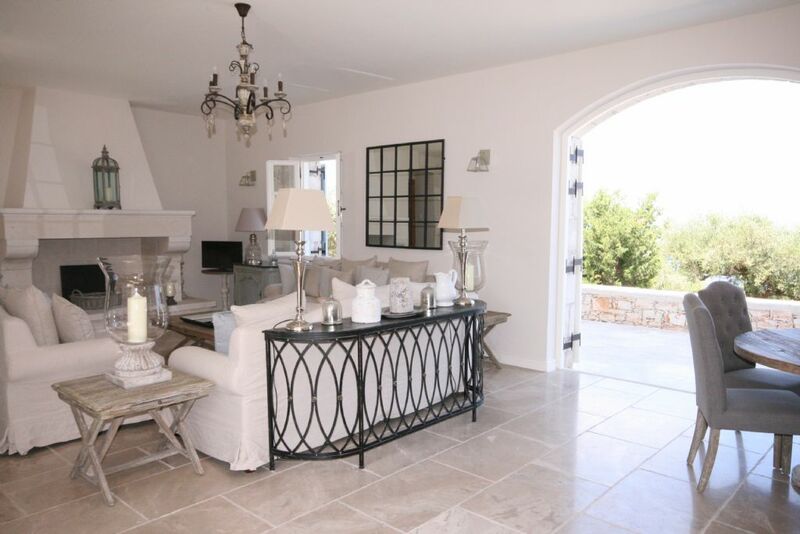 When the sunshine gets too scorchio, Villa Lagaria is a haven of cool marble floors, neutral colours and luxury furnishings, with a designer kitchen that’s straight from the pages of a beautiful homes magazine. While grown-ups flop into deep sofas in the large, light and airy living room, kids can retreat to their own play-den with shelves full of toys, games and books, table tennis and a whopping 50” flat-screen TV with Sky channels, a DVD player and Wii games. 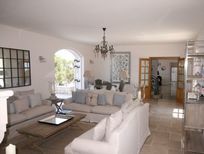 All 5 bedrooms in the villa are simply elegant and stylish, with ensuite shower-rooms, plus there is a self-contained apartment that’s ideal for teenagers or grandparents, with a twin bedroom, living area and kitchen. Villa Lagaria is a high end, boutique-style BFB where 12-14 people, plus babies (3 cots available) can stay in the lap of luxury, in an exclusive setting on Zakynthos. 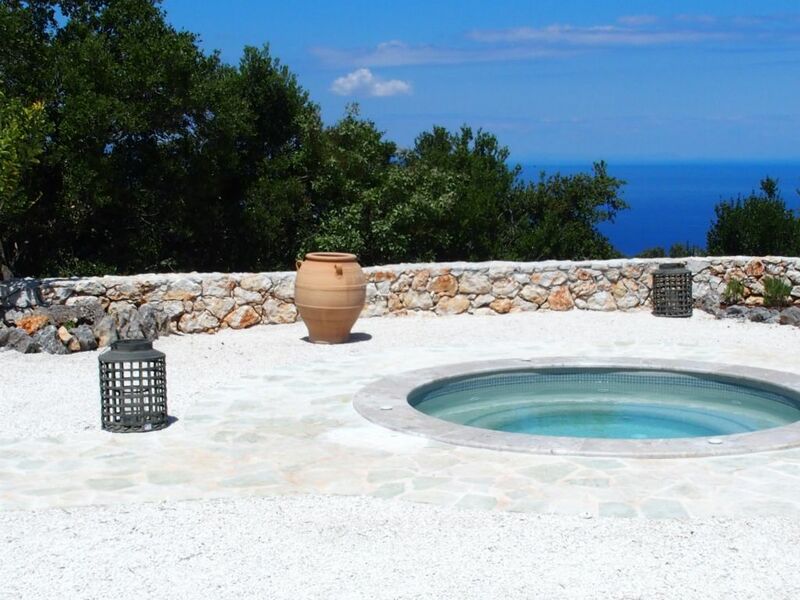 To bring the inside out, the villa has a fabulous, covered living and dining terrace, with sofas and coffee table by a stone fireplace, a marble dining table with amazing views, an American style barbecue and a clay pizza oven. 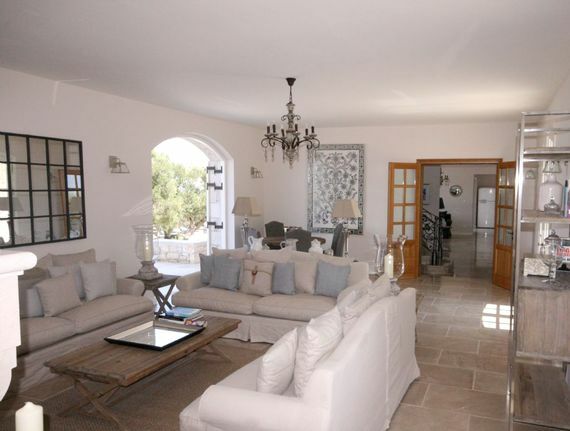 Inside, the villa has a lavish living room for grown-ups, with 3 sofas and a 32” TV/DVD player, plus there is a downstairs play den for toddlers to teenagers, with toys, books and games, a 50” TV, Sky channels including Cbeebies, a DVD player and a Wii. The villa also has Wi Fi for streaming movies and games or just keeping up to date with emails and social media. The kitchen has all the designer touches, from a Smeg fridge freezer and electric range oven to zuzzing up the juicer at the breakfast bar. There’s also a microwave, dishwasher and all the essential utensils, crockery and cutlery for family self-catering, plus a separate utility room with a washing machine. A marble staircase sweeps round to the first floor, where all five bedrooms have ensuite shower-rooms. 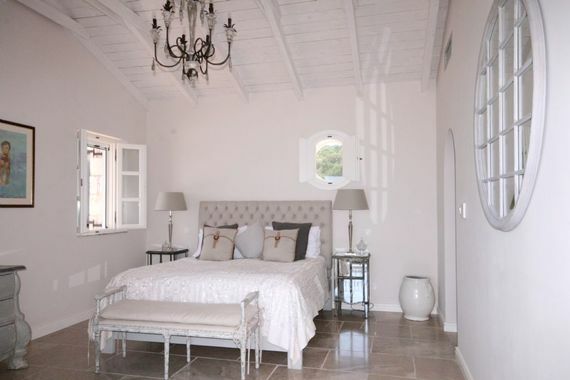 The master bedroom has a super king-sized bed and a sea view balcony with two wicker chairs, plus an ensuite with his ‘n’ hers washbasins, walk-in rain shower and a separate wc. The other 4 bedrooms have twin beds with ensuite shower rooms/wc and in one of these the beds can be converted into a super king-sized double. An additional twin bedroom is in a self-contained apartment which has an ensuite shower room/wc, living area and a kitchen. Villa Lagaria has a prime location within an area of outstanding natural beauty, with views of the Ionian Sea, in the north eastern corner of Zakynthos, which is also known as Zante. Although the stretches of sandy beaches have made the island a popular package holiday destination, this unspoilt corner is a world away from the busiest resorts and families will find private coves to swim in the crystal clear sea, just 5 minutes from the Villa. A bakers van delivers fresh bread each morning and a mini market is a short walk from the Villa, then there are tavernas and cafes in the tiny port of Agios Nikolaos, less than 10 minutes away. The port is a stopping off point for boat trips to the ‘Blue caves of Zante’ and a ferry also sails to Kefalonia, (approx. 1 hr), made famous by the novel and movie, Captain Corelli’s Mandolin. The owner can help arrange private trips or boat hire should guests wish to see the infamously beautiful 'Shipwreck Cove' or Blue Caves in luxury. For families staying at Villa Lagaria, they may be able to take advantage of the excellent Peligoni Club which is located nearby and occasionally offers temporary membership (costs apply - usually only possible in low/mid season).The club is open May - September and has a creche, selection of children's activities, watersports, bars, a restaurant and more. 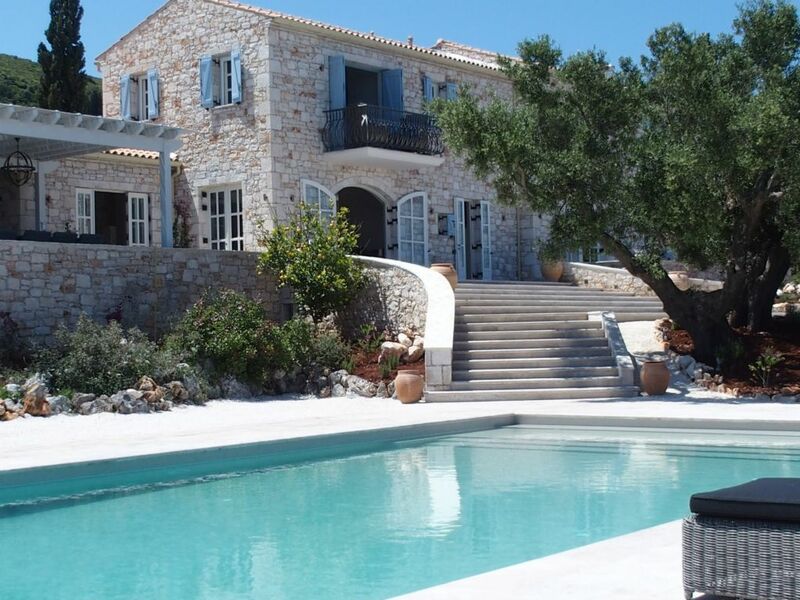 Getting here: The international airport for Zakynthos (or Zante) is just under an hour’s drive from Villa Lagaria, with airlines including Easyjet, Thomson and Jet2 flying from regional airports in the UK. 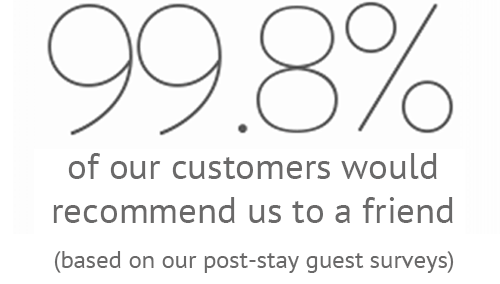 Sleeps 12 + infants in 5 en-suite bedrooms ( one super king size double + 4 twin bedrooms, one of which can be made into a super king size double). 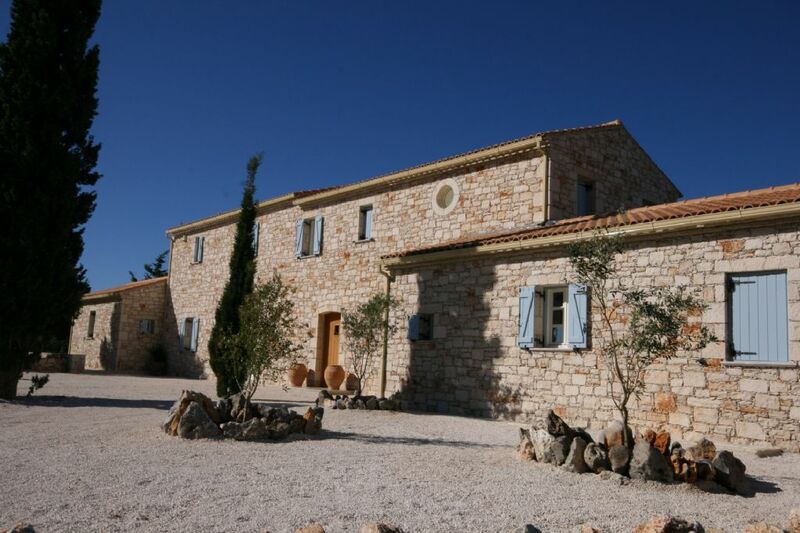 There is also self contained apartment with an additional twin room. The tiny port of Agios Nikolaos is under 10 minutes drive away. There is a private cove under 5 minutes drive away and a wider choice of beaches also within a short drive. A bakers van delivers fresh bread each morning and a mini market is a short walk from the Villa. Larger shops, restaurants and more are located a short drive way. The beautiful 13.5m x 6m private pool has wide beach style steps at the entrance and a large shallow area. It is safely alarmed. The owner can provide a fantastic chef who can cook anything from a one off BBQ lunch to a 6 course gourmet meal for special occasions. 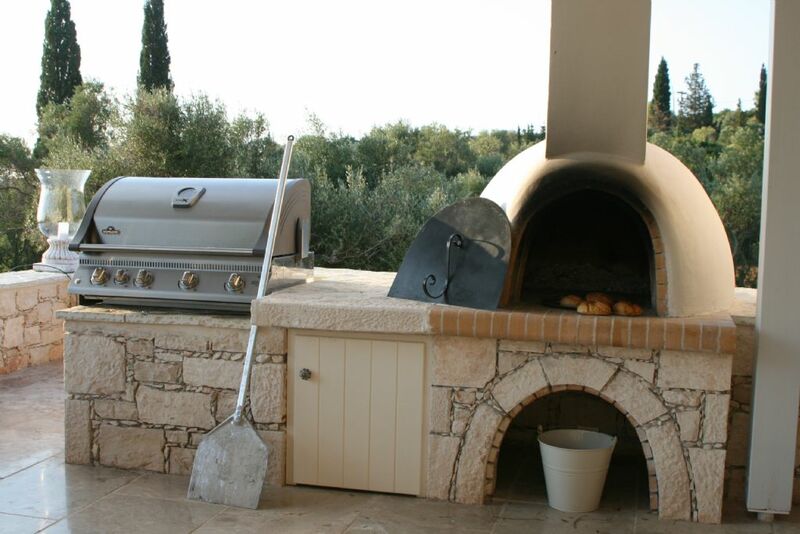 In additional to the chef there is also an option of a wonderful cook a who can provide local, family food that guests can just pop in the oven and serve up with salad etc. A small selection of toys, books and DVDs are provided. There is Sky TV which includes Cbeebies. For outdoor play there is a small selection of beach and pool toys plus a paddling pool. Some TRX equipment is available. A thrice weekly maid service is provided. Additional cleaning may be possible on request at extra cost.